Whether you are looking for a cottage in the country or in the tropics, the properties that made our list offer vacationers great service, unique design and fun activities. Plan a romantic honeymoon, weekend getaway or a family trip to one of these beautiful destinations. 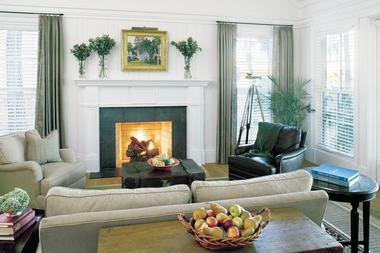 Some of the cottages have views of the ocean while others feature romantic fireplaces and vineyard views. Travel to the Caribbean, Florida, Maui, Nantucket, Napa and other popular vacation spots. 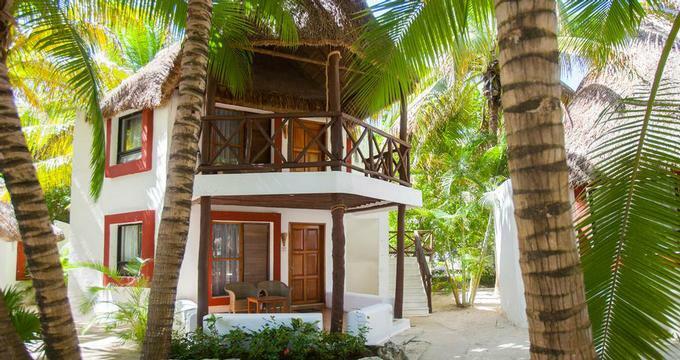 Set on Playa del Carmen’s 800 feet of sandy beach, Mahékal Beach Resort just completed a $10 million renovation. 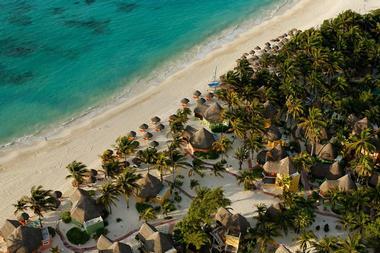 The property offers 122 thatched-roof bungalows with ocean views, plunge pools and terraces with hammocks. There are no TVs in the rooms, inviting you to unplug in a romantic setting. The concept is similar to the one at Little Palm Island in Florida. There is Wi-Fi if you need to check your email or update your Facebook page. Ask for an Ocean Front bungalow and you will be just steps from the water. The resort has two swimming pools, a Jacuzzi with a view of the water, two restaurants and three bars. Vacation activities include ceramic painting classes, shopping, tours of ancient Mayan ruins, underwater cave exploration, swimming with dolphins, wine tasting and relaxing spa treatments. Rates start at $308 USD per night. Hidden Pond is a luxury romantic inn in Kennebunkport, Maine, offering a spa, outdoor activities, fitness center, yoga and art classes. Guests are accommodated in unique cottages with outdoor terraces and elegant furnishings. The main lodge has a large stone fireplace, high ceilings and French doors that open out to the pool deck with comfortable lounge chairs. Book a massage at the Tree Spa which features treatment rooms connected by a walkway through the trees. The resort has its own organic farm where you can pick your own flowers and request produce to stock your cottage. Rates start at $425 per night. The Garden Cottage at the Arrowhead Inn Bed & Breakfast in North Carolina has a double whirlpool tub and a fireplace, perfect for couples looking to re-connect on their weekend getaway. 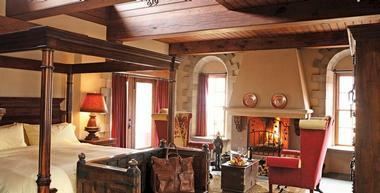 There is a cozy sitting area with a loveseat, a four-poster king bed and a two-person steam shower. Have breakfast on the porch and relax on the two-person swing surrounded by the gardens. In the evening, enjoy a romantic five-course dinner in the dining room or in the privacy of your own cottage. The inn is located on six landscaped acres 15 minutes from downtown Durham. 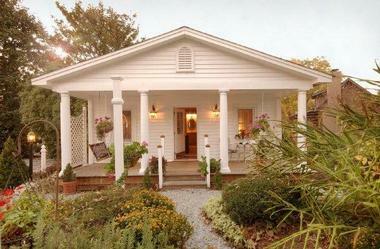 The Garden Cottage starts at $269 per night. Plan a weekend trip to Seaside, a picturesque beach town on the Gulf Coast of Northwest Florida, where you will get to choose from 200 colorful cottages and homes. Each is individually furnished and many feature exceptional design which is frequently showcased in leading lifestyle magazines. 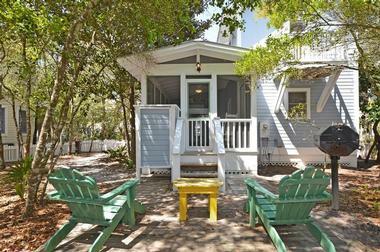 Vacationers can rent a quaint honeymoon cottage on the dunes or a fully furnished home in town. Get in touch with Cottage Rental Agency which has a 25-year history of exceptional service and will provide you with special amenities, including free bike rentals, welcome beach tote, beach toys and concierge services. The guest houses at Winvian in Connecticut were designed by 15 architects and each one is more creative than next. Get close to the elements at the Treehouse where you sleep above ground surrounded by trees. Or rent the stunning Stone Cottage which was built using giant rocks. Couples who have been everywhere and have seen everything should rent the Helicopter Cottage. In the morning, wake up with a 17,000 pound 1968 Sikorsky Sea King Pelican HH3F at the foot of your bed. The interior of the helicopter is a cozy lounge where you can have drinks and watch TV. The cottage is designed to resemble a cozy helicopter hanger, complete with a charming red exterior and a fireplace. You'll have a view of the helicopter even from the bath tub. If you want to brush up on your cooking skills, Winvian offers fun cooking classes designed to address particular ingredients such as fish, salads or poultry dishes. The hotel received a five AAA Diamond award for its accommodations as well as its fine-dining restaurant. Read more. Featuring spectacular harbor views, the White Elephant on Nantucket in Massachusetts is a 1920s landmark with 53 guest rooms and suites, most with fireplaces. The hotel is known for its excellent service, plush guest rooms and gourmet dining. 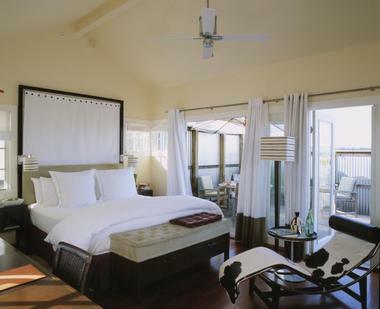 The spa at the White Elephant Hotel has a beautiful Serenity Room which opens out to a lush garden and ocean views. Try the 90-minute Signature Detoxifying Body Massage and Algae Wrap on your weekend vacation. Consider booking the signature loft or one of the garden cottages. 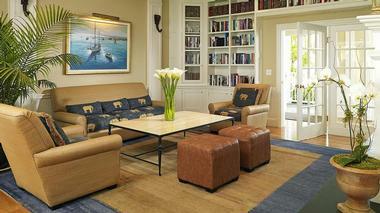 In addition to the beautiful spa, the hotel has a library, fitness room, business lounge, and harborside lawn. Open for breakfast, lunch and dinner, Brant Point Grill serves steak and seafood specialties. Room rates start at $275 per night. 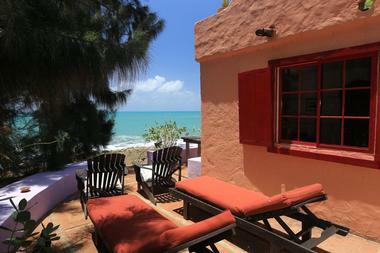 Little Good Harbour in Barbados has stylish houses with Caribbean exteriors and interiors. Spend your getaway on a sandy beach in the tropics, swimming, sunbathing and enjoying delicious cuisine. Escape to the wine country and book a stay at The Carneros Inn, located between the towns of Napa and Sonoma. 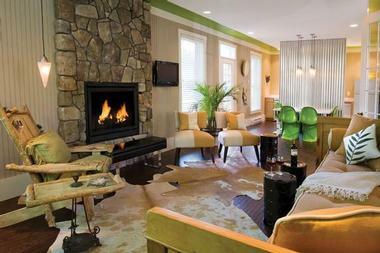 Guest accommodations feature wood-burning fireplaces, making them an ideal romantic getaway. Guest accommodations at the Jake's in Jamaica are unique and affordable, starting at just $95. 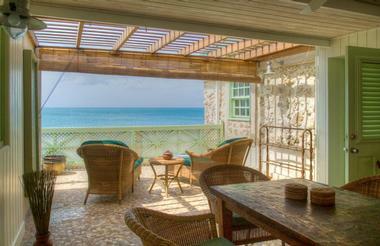 Some have decks overlooking the Caribbean Sea. 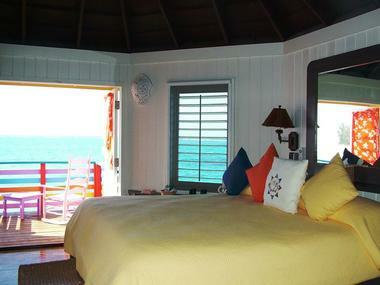 Compass Point Hotel in the Bahamas offers charming guest accommodations with water views, painted in bright colors. 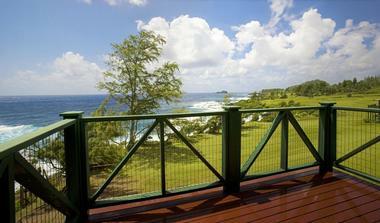 Guest houses decorated with Hawaiian patterns at Travaasa Hana on Maui have large decks overlooking the Pacific Ocean. Each has a living area with skylights, wet bar, dining table and an oversized bathroom. Hana is a beautiful destination with a sandy beach, lush tropical forests and scenic waterfalls. 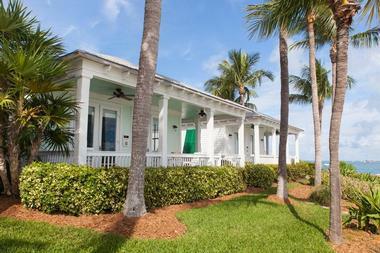 Sunset Key Cottages in the Florida Keys have spacious wrap-around verandas, with Adirondack chairs and tables. The houses are located on a 27-acre island, providing couples with plenty of privacy. Choose from one, two, three and four bedroom layouts with ocean or garden views. Cotton Tree on Grand Cayman offers just a handful of designer houses on a secluded sandy bay in the Caribbean. Prepare your own meals or request a personal chef-prepared meal in the fully equipped kitchens. The Inn at Palmetto Bluff in South Carolina has 50 guest accommodations which measure 1,140 square feet in size and have pine floors, vaulted ceilings and romantic fireplaces. You will be surrounded by 20,000 wooded acres, a beautiful golf course and a spa with a diverse menu of treatments.